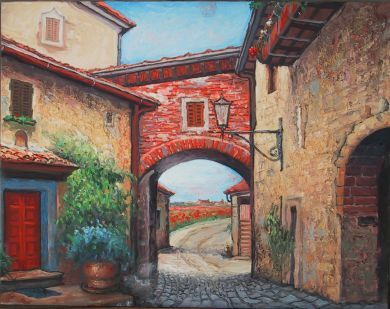 Italy - Print - Montefioralle - available in gallery 30x36 giclee print on canvas $1050. May be ordered on paper $75. Montefioralle is available in the gallery in a 30x36 giclee print on canvas $1050. It is also available in a paper print $75.